I stop buying at ebay and now after sort, clean and bleach all of my Lego I decided to build a new big project similar to my old castle/village (not public on EB) or the island (public in EB). But the new one should need all of the "interesting" colours/parts. First of all the plate should have a good size. I think 1,8 m x 1,2 m is a good size. 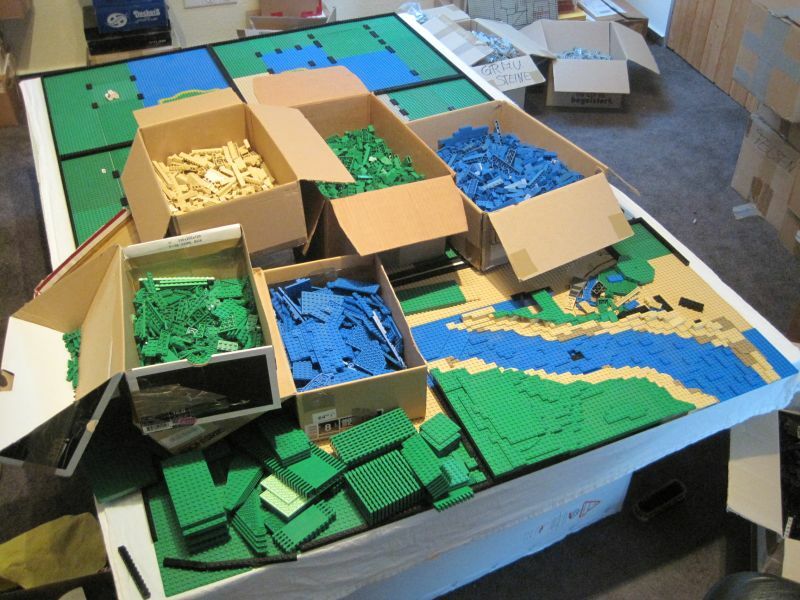 More would be to big for my Lego room The baseplates (btw all of mine) show the way of the river in broad terms. To handle the parts and reach every place for details the plate is devided in six chapters. I know that this would be a long build, so I decided to update the progress when it is time to show new steps. The whole build >>should<< contain a little village, a little forest and a castle. 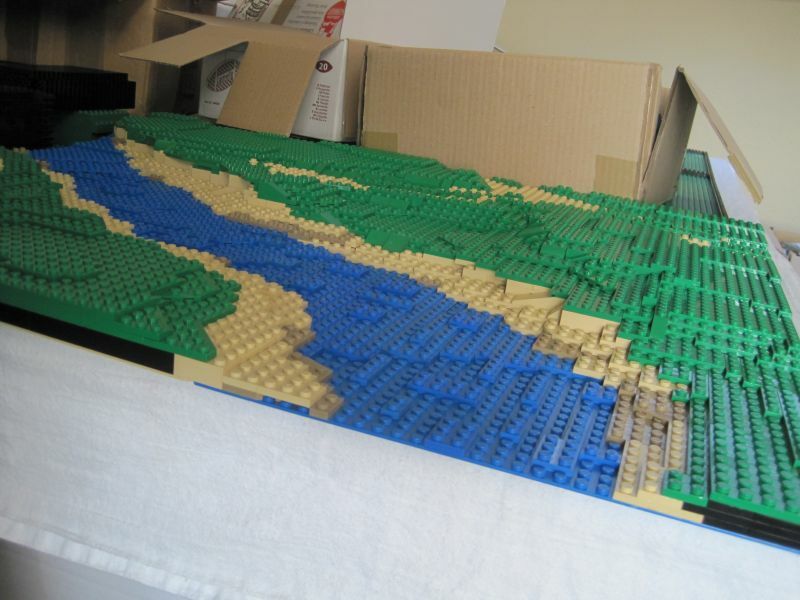 Hm, maybe the baseplate could be bigger?! We will see. I will try to update right in time! Oh wow! I'm very excited to see this. Very nice, Iam waiting to see it ready! This is looking like an awesome project. Keep it up and good luck! I think this is going to be my favourite thread. I have never built anything like this so to be able to watch how your gradually build is going to be very interesting and educational. Wow! If only I had the size for a set-up like that! Good luck and I'm eagerly awaiting to see the progress of this. This looks great! 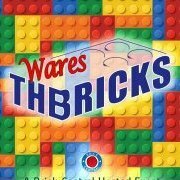 Looking forward to seeing it as it progresses. Wow i am envious of your vast part resources! 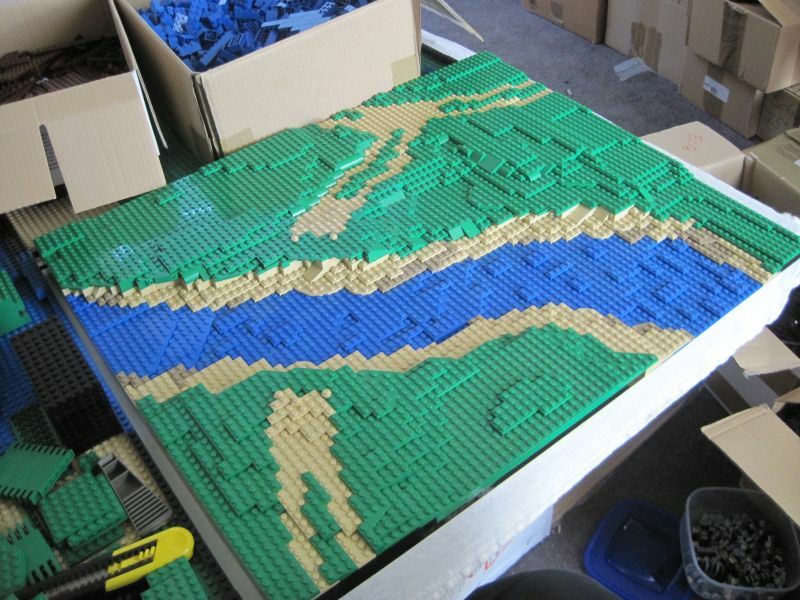 I think this is a great idea, i have not seen on of these giant scenes built from the ground up before so I am interested to see how it all turns out at the end. Even though you say it's early on it already looks better than 90% of the MOC's I see on MOC sites! Can't wait for the updates, keep them coming. I really like your ambition! The idea of a village and a forest sounds great, but I'm not sure you have enough to include a proper castle. Might I suggest a large manor house, town hall or church as possible alternate focal points. If you were to add a castle, I think you might want to add another two sections to give the castle some weight (and size). Whatever you choose to do, this project has amazing potential. Good luck! HOLY MOLEY! I can't wait too see this thing finished. Shoot I can't wait just to see the progress! Hope as the others to see it when its finished. Look's like this is going to be epic, even the just the basic landscaping looks good. Looks promising. The first pictures look very edgy so it's nice to see the contrast with the small part where you made more elevation. Wow, that's huge! I really like that you're posting WIP pics, so that MOCing noobs like me can see how something this gigantic is done. It looks promising so far, I could probably learn a thing or two just by looking at the terrain and landscaping. I'll follow this with much interest. 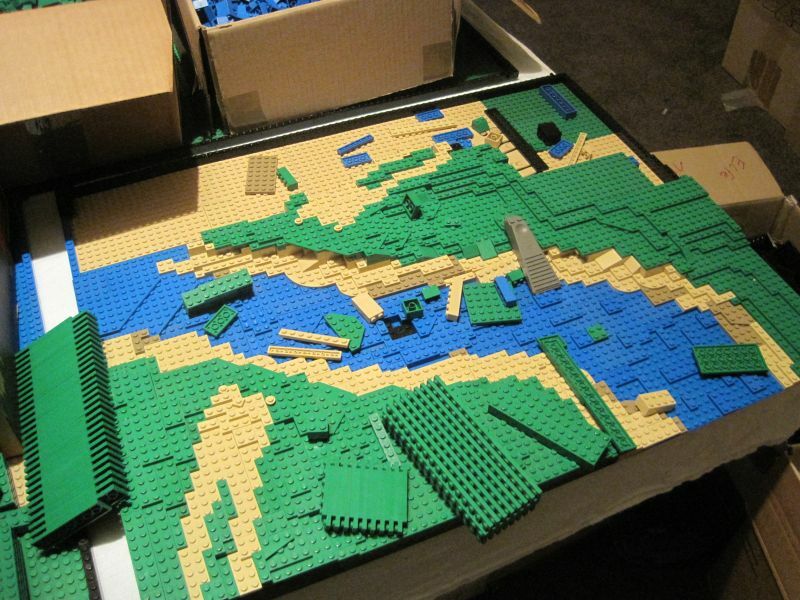 A promising project indeed, the layout is already looking great with the positioning of the water and terrains. Knowing your expertise, this is something that's going to be epic that we'll all look forward to. This looks like it is going to be amazing! Thats gonna be pretty big! You have certainly set yourself a big task task. It will be nice to see the updates as this comes along. The river looks good, although it might be worth adding some brown to the tan as it will give it more texture. I would love to build something this big but I just havn't got the patience at the moment. Good luck, I look forward to seeing this come together as I know you will do a good job. First of all I have to say thank you to all the hopefull wishes and the great replies. Pushed with all these and with my workfree day I finished the gross terrain build. Yep you´re right about that but the castle what comes up to my mind should be a new version of my "very old castle" out of my brickshelf folder. 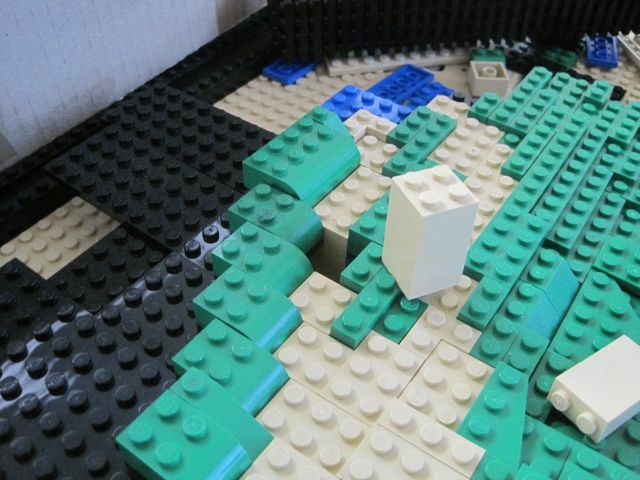 It was a hilltop design on the big grey baseplate, so it should find a place on one chapter. Ok now it is time for a few more pictures. One detail to show what could be taken to build the street. The ugly high bricks will fit in no other structure so it is perfect to form the path. And the view to see the growing landscape.